Melbourne is not just a cultural mecca and cosmopolitan city, if you fancy just sitting on the beach with a few drinks, even that’s possible here! The St Kilda area of Melbourne is very well known and it’s only a short tram ride from the city centre. I’ve been there a few times now, since I arrived in Melbourne a few weeks ago, because it’s a great place to relax and enjoy a sea breeze while you’re staying in Melbourne and who doesn’t enjoy hanging out at the beach? 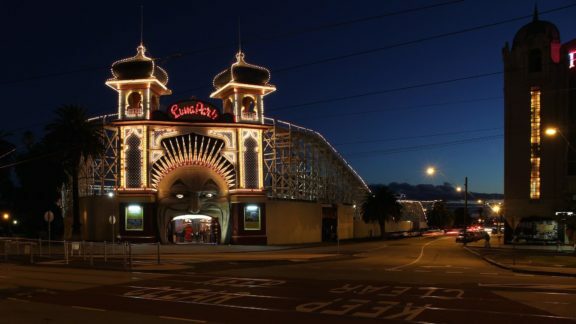 Luna Park, which you can also find in Sydney, is one of the most popular attractions located in St Kilda. Here you can while away the hours on a ghost train, the dodgems, a rollercoaster and eat lots of junk food! 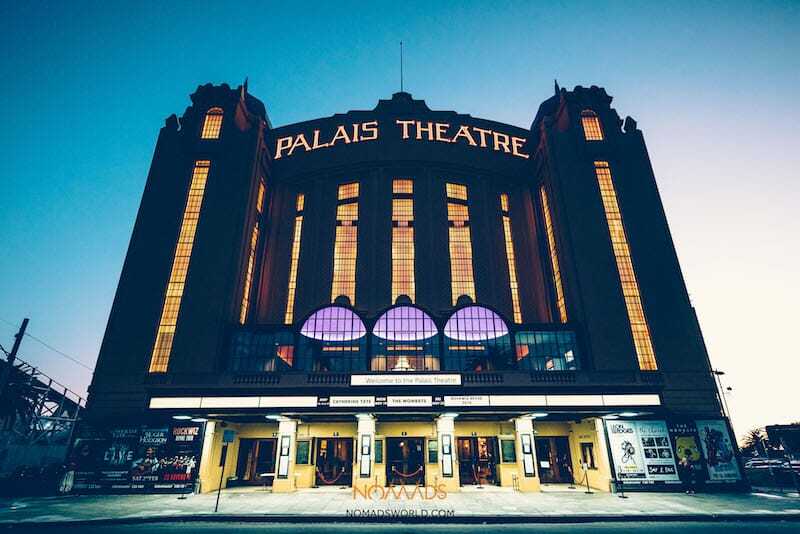 For live music and entertainment head to The Palais Theatre. It first opened its doors in 1927 and has been providing live entertainment since then. The Palais theatre used to be used primarily as a cinema until the 1950’s, then major international artists including The Rolling Stones played here. In the 60’s and 70’s they even had Ballet and Opera. These days you can see a variety of live entertainment here from major international music artists, to tribute bands and international comedians. Find out what’s on when you’re in town! 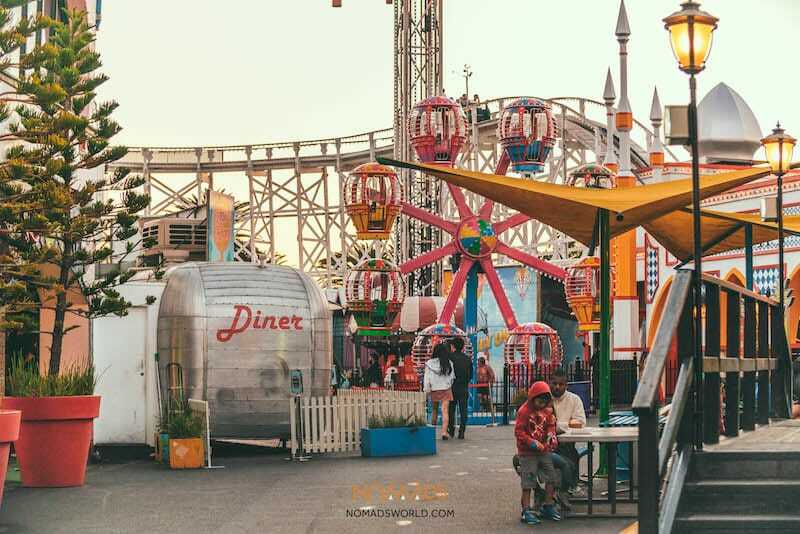 Every city has it’s market, and the most famous in Melbourne is probably the Queen Victoria Markets… No doubt you’ve heard of the hippie-chic, laid back, beach side suburb of St. Kilda just outside of Melbourne… But have you heard of their wicked night markets which are hosted on Thursday nights. 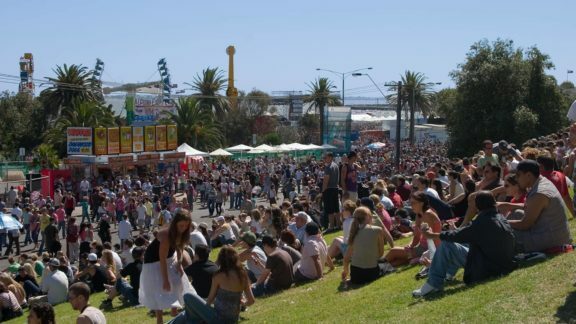 The grass near the infamous Luna Park swarms with people of all types who come prepared for a great time! Circled with more than a dozen tents from food to jewellery, clothes to herbs and spices to organic foods, the market has a wide variety of goods for every fancy. Let your palate explore all the tastes! Take a friend or two and sample a small plate from each vendor… Indulge and eat your heart out in one go… Or come try a new dish each week, if you’ve got the time. Their cuisine ranges from Spanish to South African to American to Indian, even a speciality meatballs option. Whether you’re vegetarian, vegan, pescatarian, or a carnivore like me, there’s loads of choices!! Don’t forget to try their delicious Sangria too, the perfect drink to combine with almost any food you choose to try. Once you’ve satisfied your taste buds, it’s time to browse all the stalls. The jewellery selection offers pieces from just $2 up to $200 for unique pieces/stones. But you can find some amazing deals and wicked cool jewellery there. And not just for the ladies! Guys there’s loads of braided or leather bands, rings, necklaces, shoes, and more for you too. Not to mention all the cool hippie, flowy clothes and accessories. Fancy a hair wrap or feather? Get one there from the coolest cats around. 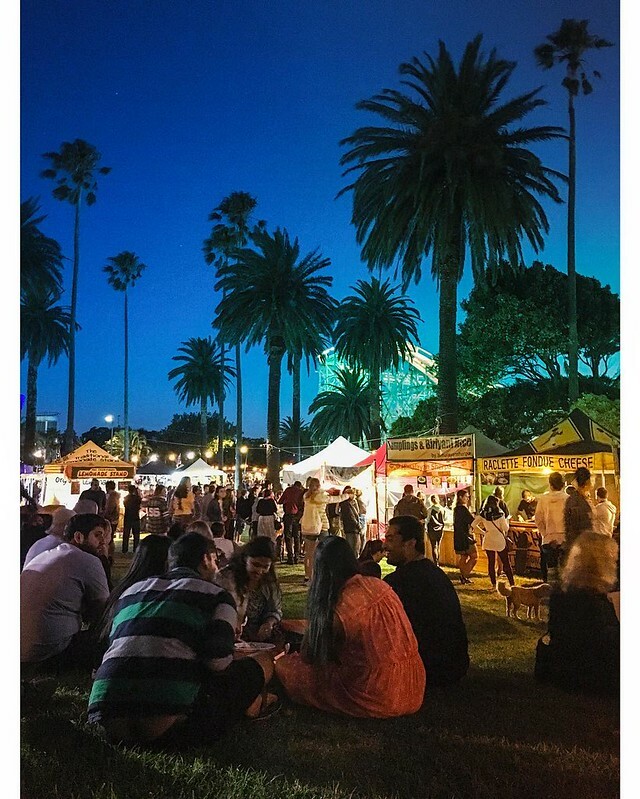 Don’t rush off just yet, after sampling the food and browsing through the stalls be sure to hang around for the after-dark fun too! Once the drum circles get going and people chime in with their own instruments, it becomes quite the hippie party. Dancers of every type get their groove on. 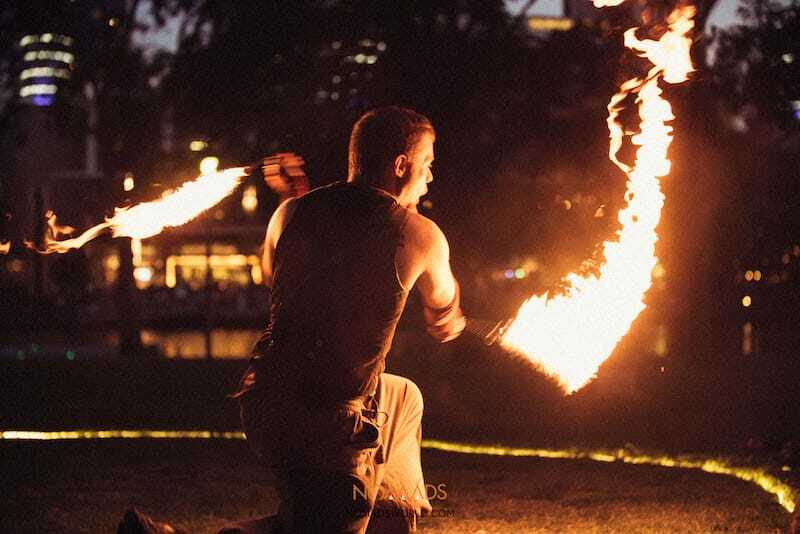 To add to the vibe, fire-twirlers and hoola-hoopers join the party and add to the entertainment. It’s a great atmosphere and a wicked night out by the beach! Check it out! Of course you could just spend the day on the beach, maybe having a game of volleyball! While you’re visiting Melbourne you just have to visit St Kilda: discover the boulevard and Luna park. 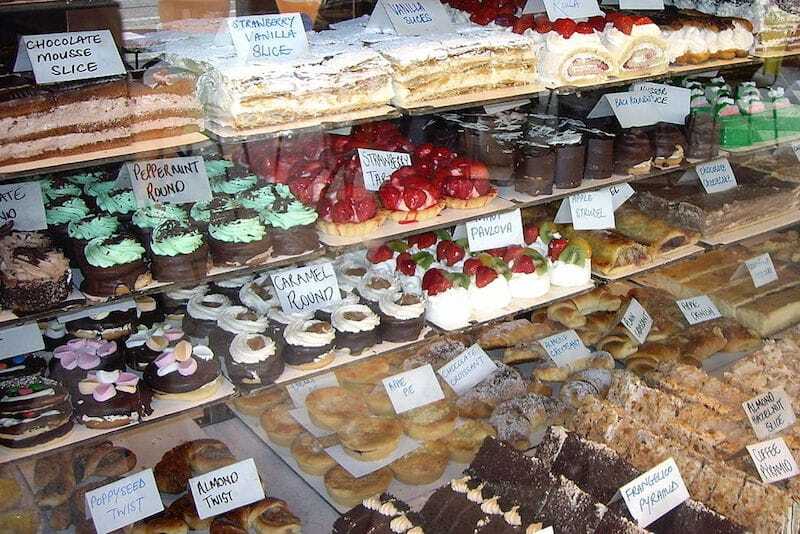 Eat something (cakes, cakes and more cakes!) and go to the beach or just enjoy one of the many bars you can find to have a nice refreshing drink on a warm summers afternoon. The nightlife in St Kilda is also worth a mention… there are some really good bars, many of which have live music. Where to stay? Stay with us at Nomads St Kilda. Looking for more things to do? 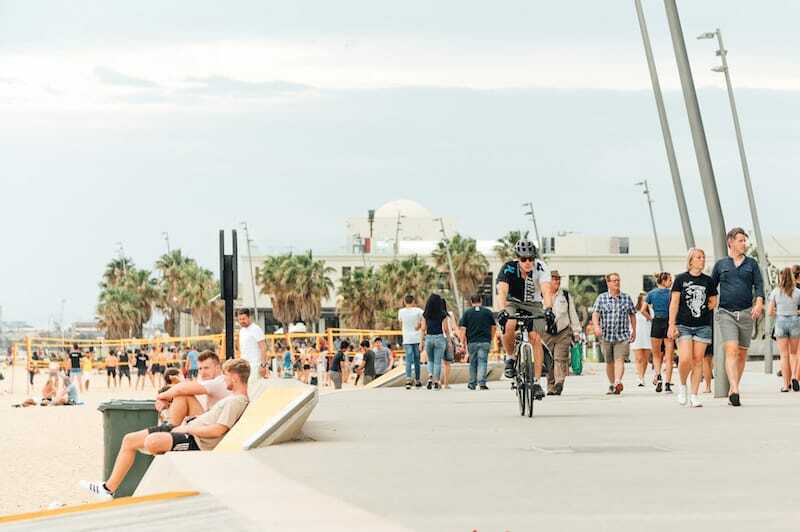 Check out these budget things to do in St Kilda, or if you want to venture into the big city here are the best things to do in Melbourne.